Drawing on new interviews and previously unavailable documents, James Mann offers a fresh and compelling narrative-a new history assessing what Ronald Reagan did and did not do to help bring America's four-decade conflict with the Soviet Union to a close. As he did so masterfully in Rise of the Vulcans, Mann sheds new light on the hidden aspects of American foreign policy. He reveals previously undisclosed secret messages between Reagan and Moscow; internal White House intrigues; and battles with leading figures such as Richard Nixon and Henry Kissinger, who repeatedly questioned Reagan's unfolding diplomacy with Mikhail Gorbachev. He details the background and fierce debate over Reagan's famous Berlin Wall speech and shows how it fit into Reagan's policies. 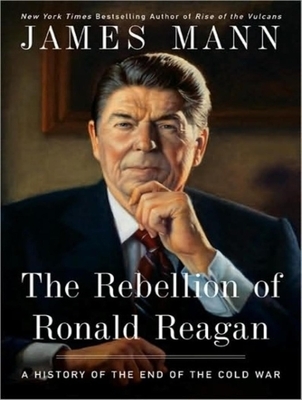 Ultimately, Mann dispels the facile stereotypes of Reagan in favor of a levelheaded, cogent understanding of a determined president and his strategy. This book finally answers the troubling questions about Reagan's actual role in the crumbling of Soviet power. Mann concludes that by recognizing the significance of Gorbachev, Reagan helped bring the Cold War to a close. Award-winning reporter James Mann is the author of the "New York Times" bestseller "Rise of the Vulcans: The History of Bush's War Cabinet" and "The China Fantasy: How Our Leaders Explain Away Chinese Repression," among others. Alan Sklar is the winner of several "AudioFile" Earphones Awards and a multiple finalist for the APA's prestigious Audie Award. Named a Best Voice of 2009 by "AudioFile" magazine, his work has twice earned him a Booklist Editors' Choice Award, a "Publishers Weekly" Listen-Up Award, and Audiobook of the Year by "ForeWord" magazine.